This is the website of the Royal Enfield Club of the Netherlands, for members and other interested parties. The roughly 300+ members are kept together by a core of volunteers, each of whom takes on a specific task. From manning the club stand at trade fairs to editing and distributing the Bulletin, archive management, management tasks, shop, website, organisation of hits and tours, unicorn representation etc. etc. Nothing goes without saying and all these people do this with love for the club. Occasionally monks work but oh well ... we are off the street, figuratively then. 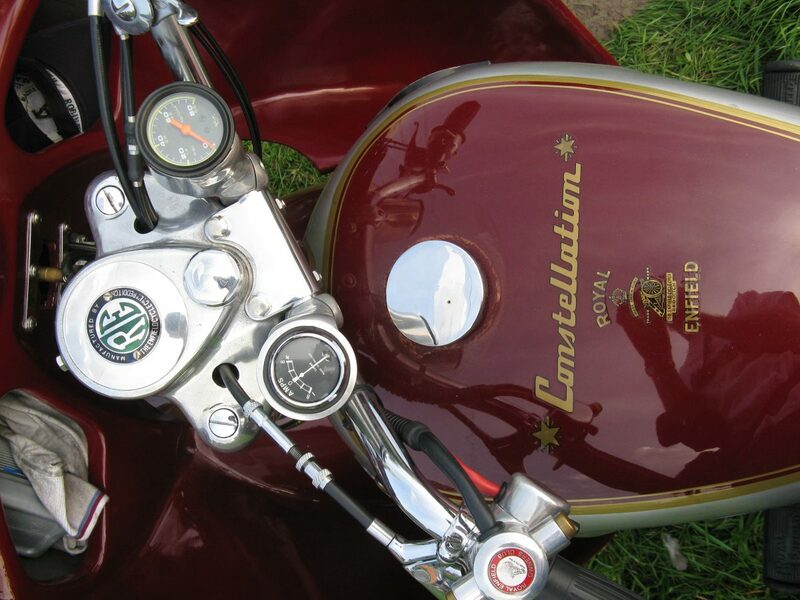 We are fans of classic motorcycles and motorcycles with a classic look and especially Enfields. We provide a connection between these enthusiasts of Royal Enfield motorcycles. We do this by publishing a club magazine, organizing club afternoons, rallies and tours, by publishing a website especially for members with an extensive archive, a club agenda, messages from the media and the board and also by making a public forum available, where non-members can get to know the club and where the most diverse technical and other challenges are discussed.